Dr. (Ms) T.Theivasanthi of Kalasalingam University doing research in nanomaterials / nanotechnology; has 15 years of teaching experience; published many research articles/ books and h-index 10; winner of Publons Global Top Peer Reviewer Award-2018; reviewer in SERB (Dept. of Science & Tech, Govt. of India); life member of Indian Science Congress Association and Magnetics Society of India; member of International Association of Advanced Materials; serving as Editorial Board Member/ reviewer for some scientific journals; lead editor in JNNN special issue (SAGE Publications, UK); achieved many awards/ honours/ recognitions including - Madurai Women Achievers Award - 2013, Motivational Award - 2015 and 2015 Women’s Day Award of St.Annes College; achieved World Record in LIMCA Book of Records-2015 for nanotechnology invention “World’s first superparamagnetic plants materials” – named “Santhi Particles”. Seyed Ali Ravanfar is currently working as a Biological Scientist at the University of Florida/Citrus Research and Education Center where his work focuses on genetic improvement of citrus and murraya relation to disease resistance. Prior to this role he was a Postdoctoral Researcher at the University of Florida, where his research was conducted chemical mutagenesis, RNAi suppression, CRISPR/Cas9 and targeted genome editing of sugarcane. 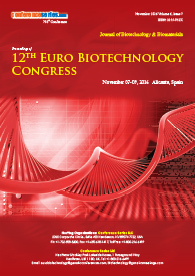 Research interest in plant biotechnology focuses on in vitro technology, genetic transformation and genome editing. He is active in publishing his research findings in journals of international repute. Sergey Suchkov was born in the City of Astrakhan, Russia, in a family of dynasty medical doctors. In 1980, graduated from Astrakhan State Medical University and was awarded with MD. In 1985, maintained his PhD as a PhD student of the I.M. Sechenov Moscow Medical Academy and Institute of Medical Enzymology, USSR Academy of Medical Sciences, Moscow, Russia. In 2001, finished the PostDoc Research Fellowship Program and maintained his Doctor Degree at the National Institute of Immunology, Russia. Dr Suchkov is a Co-Supervisor over the Russian-American Agreement on scientific and clinical collaboration in the field of ocular immunology between Russian Academy of Sciences and National Institutes of Health (NIH); in 1991-1995 – a member of The Reciprocal Exchange Fellowship Program between Russian Immunological Society and British Society for Immunology. Dr Suchkov is a member of the Editorial Boards of many international journals including EPMA Journal (Springer, Brussels) and “Personalized Medicine Universe” (Elsevier, Japan). Marietjie is the founder and Managing Director of Biolawgic, a private company focussing on the promotion of bioethics and a Director at Dyason Inc in Pretoria where she specialises in Health-tech, Fin-tech and Bio-tech Contracts, Biotechnology Law, Health Care and Life Sciences Law and Insurance Litigation. Marietjie is particularly interested in and passionate about genetic, genomic and stem cell research and has published numerous articles in both national and international journals on these topics. interested in genetic, genomic and stem cell research. Dr Amini's research focus in particular covers a wide range of multidisciplinary aspects: biomedical materials, bioplastics, shape memory alloys, water treatment, drug delivery systems, piezoelectric materials, graphene, graphane, CNTs, biodegradable polymeric nano-composites, TiO2, ZnO, environmental sustainability and water efficiency, experimental analysis, multi-scale (nano to macro) modelling of multi-physics phenomena, indentation methods, 3D printing, phase transition, mechanics of materials, fabrication of modern composites, manufacturing, offshore naval structures, and ship design. Betty Lee has a PhD from Dartmouth Medical School, USA and MS in Clinical Chemistry from the University of Windsor, Canada. She has done her second MS Biochemistry from LSU Medical Center, USA. She completed her Post-doctoral training at the National Institutes of Health, USA. She is currently working as a Licensing Officer with the US government. She educates industries and academia about the Export Administration Regulations (EAR) and participates in outreach. In addition, she participated in the policy review of the Executive Order titled “Optimizing the security of biological select agents and toxins in the United States” signed by President Obama on July 2, 2010. Prakash V Diwan, male Pharmacologist, obtained his PhD from Post graduate Institute of Medical Education and Research, India in 1980. He served as Assistant Professor in Medical College, India and later joined the Research and development organization, Indian Institute of Chemical Technology (CSIR) in 1983-2007. He became the Founder Director NIPER, Hyderabad in the year 2007. He was awarded with many national awards in the field of pharmacology. He is a Fellow of Royal Society of London (FRSC). To his credit he has over 160 research publication in national and international journals. He has been honored as a fellow of Indian Pharmacological Society and fellow of Andhra Pradesh Academy of Sciences. He has been a member in Indian Pharmacopeia Commission, Scientific Consultant for various reputed pharmaceutical industries. Presently he holds the responsible positions as Director and Research scientist in academia & Research and development Institutions. He is completed his Postdoctoral Scholar at University of California, San Dieg and Graduate Research Assistant in University of Illinois at Urbana-Champaign. Now he is a Research Scientist in University of California, San Diego. Dr Sergey Suchkov, MD, PhD. Professor in Immunology & Medicine. Chair, Dept for Personal-ized and Translational Medicine, I.M.Sechenov First Moscow State Medical Born 11 January 1957, Astrakhan, Russia; two sons. Education: MD, Astrakhan State Medical University, Russia, 1980; PhD, I.M.Sechenov First Moscow State Medical University, 1985; Doctor Degree, Na-tional Institute of Immunology, Russia, 2001. Positions held: Post Doc Research Associate, In-stitute of Medical Enzymology; Head of the Lab of Immunology, Helmholtz Eye Research Insti-tute in Moscow; Trainee, Laboratory of Immunology, NEI, Bethesda, MD, USA; Chair,, De-partment for Clinical Immunology, Moscow Clinical Research Institute; Executive Secretary-in-Chief of the Editorial Board, Biomedical Science International journal; Chairman & Director of the Department of Personalized Medicine. Honours: Secretary General, United Cultural Conven-tion, Cambridge, UK. Memberships: New York Academy of Sciences, USA; EPMA, Brussels. Abs against myelin basic protein/MBP endowing with proteolytic activity (Ab-proteases) are of great value to monitor demyelination to illustrate the evolution of multiple sclerosis (MS). Anti-MBP autoAbs from MS patients and mice with EAE exhibited specific proteolytic cleavage of MBP The activity of the MBP-targeted Ab-proteases markedly differs between: (i) MS patients and healthy controls; (ii) different clinical MS courses; (iii) EDSS scales of demyelination to cor-relate with the disability of MS patients to predict the transformation prior to changes of the clin-ical course. The sequence-specificity of Ab-proteases demonstrates five sites of preferential proteolysis to be located within the immunodominant regions of MBP confirmed by the structural databanks. Two of them falling inside the sequence covering a 81-103 peptide and its 82-98 subsegment as well, with the highest encephalitogenic properties both to act as a specific inducer of EAE and to be attacked by the MBP-targeted Ab-proteases in MS patients with the most severe (progradient) clinical courses. Sites localized within the frame of 43-68 and 146-170 peptide subsegments whilst being less immunogenic happened to be EAE inducers very rare but were shown to be attacked by Ab-proteases in MS patients with moderate (remission-type) clinical courses. The activity of Ab-proteases was first registered at the subclinical stages 1-2 years prior to the clinical illness. About 24% of the direct MS-related relatives were seropositive for low-active Ab-proteases from which 38% of the seropositive relatives established were being monitored for 2 years whilst demonstrating a stable growth of the Ab-associated proteolytic activity. Registration in the evolution of highly immunogenic Ab-proteases to attack 81-103 and 82-98 sites pre-dominantly would illustrate either risks of transformation of subclinical stages into clinical ones, or risks of exacerbations to develop. The activity of Ab-proteases in combination with the sequence-specificity would confirm a high subclinical and predictive (translational) value of the tools as applicable for personalized moni-toring protocols. And close association between the proteolytic sensitivity of MBP and post-translational modifications of the latter may represent one of the key regulatory mechanisms in the epitope generation. She is a Postdoctoral Fellow in Proteomics The University of Durham, Durham, UK and Research Associate (Funded by BBSRC and SABMiller)in Department of Molecular Biology and Biotechnology at University of Sheffield, United Kingdom. Mahsa Movahedi had 7 years of research experience in understanding cellular mechanisms, and proteomics, with a background in molecular biology and biochemistry research. She is an expert in experimental design, data analysis, and project management. He is a Postdoctoral Fellow at University of Oxford, Oxford, UK and Visiting Professor in Pohang University of Science and Technology (POSTECH), South Korea.Gajendra Raghava is a Bioinformatics Specialist at University of Arkansas for Medical Sciences (UAMS), USA.Scientist at CSIR-Institute of Microbial Technology, India. bioinformatician, life sciences, biophysics, Microbial Technology. Mechanism for RNA-based redox metal binding consequences of RNA oxidation on protein synthesis rate and fidelity role of redox active metals in mediating prooxidant and antioxidant properties signal transduction pathways altered in Alzheimer disease that allow neurons to evade apoptosis mechanism of phosphorylation control of oxidative damage to neurofilament proteins. Plato is a Associate Professor at University of Patras, Greece and also Adjunct Professor at New York University, USA. He is a Rersearch Fellow at Merck Research Laboratories, Rahway, New Jersey, USA.Postdoctoral Fellow ; Harvard University, USA; Ph.D. in Chemical Biology; SUNY at Stony Brook, USA. Synthesis of biologically and pharmacologically relevant molecules such as a- and b-amino acids, b-lactams, piperidines, and piperazines. Total Synthesis of antitumor, antibiotic Natural Products (Cyclostreptin-(-)-FR182877, Ecteinascidin 743, Saframycin A, and Abyssomicin C). New Synthetic Methodology including novel routes to b-lactams, piperazines and tetrasubstituted olefins (Tamoxifen analogs). Dr. Luo is a member of the Divisions of Experimental Pathology, Molecular and Cellular Pathology and Anatomic Molecular Pathology. He is the Director of the High Throughput Genome Center at the Department of Pathology, University of Pittsburgh, involving collaboration of faculties from multiple departments. Rosemarie Wahl, Ph.D., earned a BS degree in Quantitative Biology from MIT, a MS degree in Biochemistry and a Ph.D. in Microbiology from the University of Chicago. She has been a faculty member at the University of Illinois at Chicago Circle, Texas Christian University, the University of Texas at Austin and St. Mary’s University. She was Chair of the Department of Biological Sciences at St. Mary’s University for 25 years (1979-2004), and is currently Professor of Biology. Her research contributions are in the molecular structure of bacterial viruses, the chemical basis of genetic mutation and the mechanism of DNA replication. Dr. Vo-Dinh is R. Eugene and Susie E. Goodson Distinguished Professor of Biomedical Engineering, Professor of Chemistry, and Director of the Fitzpatrick Institute for Photonics at Duke University. After completing high school in Vietnam, he pursued his education in Europe where he received a B.S. in physics in 1970 from EPFL (Swiss Federal Institute of Technology) in Lausanne, Switzerland, and a Ph.D. in physical chemistry in 1975 from ETH (Swiss Federal Institute of Technology) in Zurich, Switzerland. Before joining Duke University in 2006, Dr. Vo-Dinh was Director of the Center for Advanced Biomedical Photonics, Group Leader of Advanced Biomedical Science and Technology Group, and a Corporate Fellow, one of the highest honors for distinguished scientists at Oak Ridge National Laboratory (ORNL). His research has focused on the development of advanced technologies for the protection of the environment and the improvement of human health. His research activities involve nanophotonics, biophotonics, nano-biosensors, biochips, molecular spectroscopy, bioimaging for medical diagnostics and therapy (nano-theranostics), personalized medicine, and global health. Dr. Vo-Dinh has authored over 400 publications in peer-reviewed scientific journals. He is the author of a textbook on spectroscopy and editor of 9 books. He holds over 37 U.S. and international patents, five of which have been licensed to private companies for commercial development. Dr. Vo Dinh has presented over 200 invited lectures at international meetings in universities and research institutions. He has chaired over 20 international conferences in his field of research and served on various national and international scientific committees. Dr. Spiryda received a BA in Biochemistry with Honors from Barnard College, Columbia University and a PhD in Cell Biology and Anatomy/Biomedical Sciences and MD from Mount Sinai School of Medicine. She completed her residency in Obstetrics and Gynecology at Brigham and Women’s Hospital/Massachusetts Hospital Integrated Residency Program at Harvard University. After studying physics in Germany, Frebel received her PhD from the Australian National University's Mt. Stromlo Observatory in 2007, advised by Prof. John E. Norris. For her work on "Abundance Analysis of Bright Metal-Poor Stars from the 'Hamburg/ESO Survey", Frebel was awarded the 2007 Charlene Heisler Prize (for the best Australian astronomy PhD thesis). She then received the WJ McDonald Postdoctoral Fellowship which took her to Austin, TX (2006-2008) before taking up the Clay Postdoctoral Fellowship at the Harvard-Smithsonian Center for Astrophysics in early 2009. She was awarded the 2009 Ludwig-Biermann young astronomer award of the German Astronomical Society as well as the 2010 Annie Jump Cannon Award of the American Astronomical Society. In early 2012, Dr. Frebel joined the MIT physics faculty as Assistant Professor, and she won a 2013 NSF CAREER award. Professor Frebel's research interests broadly cover the chemical and physical conditions of the early Universe, and how old, metal-deficient stars can be used to obtain constraints on the first stars and initial mass function, supernova yields and stellar nucleosynthesis. She is best known for her discoveries and subsequent spectroscopic analyses of the most metal-poor stars and how these stars can be employed to uncover information about the early Universe. Claire Hellio is Vice President of the European Society for Marine Biotechnology and professor at the University of Western Brittany (IUEM / LEMAR). Antonia R. Figueira, female, plant virologist, got her PhD in UNICAMP- SP- Brazil in 1984. Works for the Federal university of Lavras (UFLA) since April/1982, where she develops teaching, researching and extension activities related to Plant Virology. Advised dozens of students from undergraduate and graduate programs such as Agronomy, Biology, Phytopathology and Biotechnology. In the last 10 years has had several international cooperation projects with European and American universities, as part of her job at UFLA. Agronomy, Biology, Phytopathology and Biotechnology. Esma Eryilmaz has bachelor degree in Physics and MS in Molecular physics from Selcuk University, TR. She completed her PhD from Texas A&M University Biophysics&Biomedical Engineering, with a PhD fellowship by Turkish Ministry of Education in December 2015. She is an assistant professor at Selcuk University, TR. She has published articles in both national and international refereed jornals. I am interested in the biochemistry of lipid-protein interactions and my research focuses on the structure-function relationships of plasma coagulants and anticoagulants. My main research project focuses on the anticoagulant Protein S. PS is a vitamin K-dependent plasma glycoprotein synthesized in the endothelium. Stefan Selbert achieved his Ph.D. at the Max-Planck-Institute of Biochemistry in Martinsried and holds a certificate in business administration. He also functions as an evaluator in Brussels for EU-FP7-PEOPLE and EUREKA Eurostar programs and is your primary contact point for the initiation of co-operative projects. ES-cell technology, in-vitro-differentiation, as well as in the generation, the analysis and the exploitation of animal models of human disease. Prabir K. Mandal, Ph.D. (Genetics) is a full Professor at Edward Waters College, Jacksonville, FL. He joined EWC as an Associate Professor of Biology in 2008 and served as the Interim Chair of the Biology Department until 2010. Dr. Mandal initiated and made an articulation agreement between EWC-Life University and EWC-Palmer College of Chiropractic for a dual degree i.e. B.S. in Biology and Doctor of Chiropractic for EWC students majoring in biology. He serves an instrumental role in getting our students into the summer internship for Bioinformatics at Mississippi Valley State University and for the Florida Alliance for Health Professions Diversity. He serves as the Chair of the Institutional Review Board of EWC, executive members of the editorial board of a few peer reviewed journals of international repute. He has been awarded with the Distinguished Professor of the College during 2012-2013 and President’s Ideal Faculty in 2010 for excellence in teaching, research, scholarship, service, adhering to policy and for taking initiative to advance the college through program development. Gassan Hodaifa Meri Food Engineer (Albaath University, Syria), Chemical Engineer (Granada University, Spain) and Dr. by University of Jaén (Spain) in the Doctoral Program: Biotechnology and Agricultural Engineering. His research began in the year 1997 with a Doctoral Scholarship to perform in Spain, has joined to the research group “Bioprocesses TEP-138” (Government of Andalusia) and he work in the investigation lines of Biotechnology of Microalgae, Industrial and Urban Wastewater Treatment, Chemical Oxidation, Membrane Technology, Adsorption processes, Pesticides Removal, and Biotechnology of Enzymes. Biotechnology of microalgae is of great interest to the industry as a source of food, biofuels, pharmaceutical production, application in bioremediation, CO2 sequestration (greenhouse effect) ... After the experimental part of his Doctoral Thesis (2002) he worked with the group “Chemical Processes and Agri-Food Technology TEP-807” (Government of Andalusia), to develop a new technology for olive oil mill wastewaters (from two-phase decanting process) treatment. Currently participates in developing a new line of research entitled “Nematode biomass production in bioreactors” in collaboration with the Genetics area of Pablo de Olavide University. Participated in 17 research projects (European, National, regional, and with companies), with which it has signed several contracts for research. As a result of this research activities has been published 40 articles in journals included in SCI, 1 patent, 2 books, 19 book chapters, and has participated in 73 Congress are most international first class in scope. He has designed, installed and automated Industrial Pilot Plant of Wastewater Treatment for olive-oil mill wastewaters from two phase decanting process with daily treated water capacity 3-5 m3/h. It has been repeatedly Associate Professor (University of Jaén), and Assistant Professor at the University of Jaén (05/06) and the Complutense University of Madrid (06/09). Now he works in Pablo de Olavide University, Seville (Spain) in the Molecular Biology and Biochemical Engineering Department/Chemical Engineering Area as Lecturer. Jan szopa-skorkowski is currently working as Professor in Department of Biochemistry Genetic, University of Wrocław, Poland. Jan szopa-skorkowski international experience includes various programs, contributions and participation in different countries for diverse fields of study. His research interests reflect wide range of publications in various national and international journals. Hanan I. Malkawi had her bachelor degree in Biological Sciences at Yarmouk University-Jordan, and then she was offered a scholarship from Yarmouk University to get her M.Sc in Bacteriology & Public and then doctorate degree in Microbiology & Molecular Biology both at Washington State University-USA, after which she returned to Jordan and appointed as professor at Yarmouk University. She has been heavily involved in research lines for more than 25 years in biotechnology and bio-nanotechnology and their applications in environment, health, agriculture, microbiology, food & industry. Also research interests in microbial diversity, and bioremediation. She has over 70 published papers in peer reviewed international scientific journals and outstanding teaching and supervision activities at both the undergraduate and graduate levels. She has been invited speaker and member of the organizing committees in numerous International Congresses, Symposia and Forums and participated and gave talks in more than 90 conferences and workshops world-wide. She received several awards and fellowships and is an active member in several national and international committees, associations & organizations. Rob Krams is Chair and Professor of Molecular Bioengineering at Imperial College London. Prof Krams is trained as a medic and received his BSc (1987) and PhD (1990) degrees from the University of Amsterdam. His interest is in mechanobiology of blood vessels and he uses a combination of imaging, genomics and computational methods to elucidate genomic network information from endothelial cells. A new interest is in high throughput technologies. After a period of postdoctoral training in John Hopkins (Baltimore, USA), he moved to the world-renowned Thorax center (Rotterdam, NL) where he developed his skills in mechanobiology and imaging. From 2004-2008 he was a recipient of an established investigatorship of the Dutch Heart Foundation. He joined Imperial College in 2007. Atherosclerosis, develops at predilection sites that are associated with changes in the blood velocity pattern. Endothelial cells are sensors for mechanical forces and mechanobiology has emerged as a new field of research, touching area’s as immunology, stem cell research, hearing, touching and pain. To that end we develop new technologies to study cells in well defined mechanical environments where we specifically focus upon mechanosensitive signalling pathways. The newly developed technologies consist of a platform where techniques like high throughput systems, microfluidics, quantitative imaging and synthetic biology smoothly interact. Born in Rome the 7/12/1949, 5 children, held the medical degree at the University of Rome “La Sapienza” with full honour. VC is specialist in Clinical of Infectious Diseases (University of Rome) and in Hygiene and Public Health (University of Pisa), and PhD in Immunology (Brunnel University, England). His doctorate and post-doc experience have been carried out at the Clinical Research Centre in Harrow (England). He has been Assistant in Microbiology, and Associate professor in Immunology at the University of Pisa. Since 2000 to now, VC is Full Professor of Immunology and Director of the UNESCO Chair in Biotechnology at the University of Rome Tor Vergata. VC has been also President (2007-2010) of the Board of the National Institute for Infectious Diseases “Lazzaro Spallanzani” in Rome, Italy. He is consultants for several agencies of the United Nations (UNESCO, UNDP, OMS) and is scientific coordinator of several European and international Projects. VC has been Scientific Director and member of the Board of the International Reference Centre for AIDS “Chantal Biya” in Yaoundé, Cameroon and President of the University Spinoff Eurobiopark (European Group of Biotechnology at the Tior Vergata Science Park). VC published over 260 scientific publications on peer-review journals (Nature, Journal of Immunology, Infection and Immunity, Journal of Infectious Diseases, Immunology, Clinical Experimental Immunology, A, IDS, AIDS and Human Retrovirus Journal, etc.) 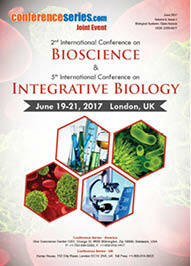 in the sector of Microbial Immunology and Infectious Diseases, with special focus on AIDS and Tuberculosis. Lidietta Giorno is a membrane biotechnologist with a strong background in biological science, chemical technologies, and new materials. Her research experience includes membrane bioengineering, biocatalytic membrane reactors, integrated membrane systems for bioseparations and bioconversions, downstream processing based on molecular separation, membrane chirotechnology, and membrane emulsifiers. She has been involved in membrane science and engineering research and development for almost twenty years. She is Director of the Institute on Membrane Technology of the National Research Council of Italy, ITM-CNR, and is involved in research co-operations at the European and international levels. Dr. Giorno has worked abroad in the USA at Sepracor Inc., in 1992; in The Netherlands at ATO-DLO, in 1994; in France, at The University of Compiegne, in 1997 and 2000. She is Visiting Professor at Tianjin University of Science and Technology, China, since 2008. Lidietta Giorno is co-author of three books and some 70 peer-reviewed scientific papers in international journals. She is a member of the editorial boards and referee pools of scientific journals and research agencies, and she sits on the boards of several international committees and scientific societies. In addition, Dr. Giorno has served on the European Membrane Society Council for two mandates and is currently the President of the EMS Council and editor of the EMS Membrane Newsletter. Dr Lucijan Mohorovic attained his MD, and specializing in Obstetrics and Gynecology, from the School of Medicine of the University of Rijeka. His specialist education continued with postgraduate studies in social medicine and ecology, after which he completed his PhD Doctorate in Medicine with a thesis entitled: " THE INFUENCE OF COAL COMBUSTION PRODUCTS ON THE COURSE OF PREGNANCY AND ITS OUTCOME IN MICRO- REGIONAL CONDITIONS”. Rijeka 1991. For more than 20 years he has focused on the protection of a healthy environment, originating from medical praxis in obstetric and gynecological primary care and long-term empirical observation of, and scientific research into, coal burning products which are harmful to reproductive health in the airpolluted environment around a coal power plant. He was nominated by the Institute of Medicine of the US National Academies for the 2009 Rhoda and Bernard Sarnat International Prize in Mental Health. 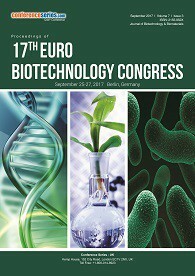 To facilitate development of novel drugs and lay the groundwork for a new research projects with the pharmaceutical and biotechnological industry, we underline the usefulness of developing nanotechnologies being pursued to produce pharmacologically efficacious reducing agent where the methemoglobin reductase is overwhelmed, and a valuable contribution to neurodegenerative disease prevention and novel therapy aimed at reducing pathological methemoglobin ferric iron (Fe3+) back to hemoglobin ferrous iron (Fe2+). Dr. Wolfgang Fischer is Professor at the Institute of Biophotonics, School of Biomedical Science and Engineering, National Yang-Ming University, Taipei, Taiwan (www.ym.edu.tw/~wfischer/). He has obtained his PhD in Chemistry at Heidelberg University, Germany, working in the field of vibrational spectroscopy in 1991. After years in the US (Boston University, postdoctoral fellow working on bacteriorhodopsin using vibrational spectroscopy), Germany (TU-Dresden, Analytical Chemistry, working on ion channels as potential biosensors), UK (Oxford University as EU Marie Curie Research Fellow and later as Lecturer working on viral ion channels using bilayer recordings and molecular dynamics simulations) he moved to Taiwan. The field of research is on biophysical aspects describing dynamics and energetic of protein-protein interactions (PPIs) of membrane proteins. The focus is on the development of computational platform technologies to support drug discovery and design as well as materials sciences. After graduating with honours from the Physics Department at Moscow State University in 2000, Vladimir Baulin spent 3 years in the Commissariat à l’Energie Atomique, Grenoble, France, doing his PhD in theory of polymer physics and received a PhD in Physics in 2003. In 2004-2006 he was a postdoctoral researcher at the Institut Charles Sadron, Strasbourg, France. Since 2008 Vladimir Baulin leads a group of Soft mater theory at the University Rovira i Virgili, Tarragona, Spain (http://vbaulin.softmat.net). He is a Coordinator of EU funded Initial Training Network SNAL: Smart Nano-objects for Alteration of Lipid bilayers (http://itn-snal.net). Isabel Desgagné-Penix has her expertise in plant biochemistry and specialized metabolism. Her research program aimed at understanding the molecular biology and biochemistry of isoquinoline alkaloid metabolism in Amaryllidaceae plants. Narcisses and snowdrops remains the only commercial source for the anti-cholinesterase galanthamine and several potential alkaloid pharmaceuticals. The recent availability of some Amaryllidaceae alkaloid biosynthetic genes creates metabolic engineering opportunities in plants and microorganisms. Her innovative and creative new ways to attempt production of valuable plant metabolites are of interest. 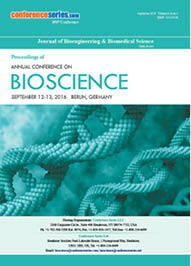 Systems biology and metabolic engineering of microalgae for the production of pharmaceutical Amaryllidaceae alkaloids. Prakash Kinthada is a Professor in Chemistry at Sri Vidyanikethan Engineering college, JNTU University in Ananthapur, A. Rangam Peta, Tirupathi, India.